I always feel as if the winter months call for more entertaining than normal. Maybe it’s something about the cold weather that entices us to call up our closest friends and spend days inside by the fire catching up and digging into delicious food as opposed to venturing out into the ice cold wandering around until a restaurant is found and our feet are frozen. Whatever the reason for the heightened amount of get togethers, I thoroughly enjoy it because it forces me to come up with new and interesting appetizers and light bites! I have posted a few recipes previously for blueberries and when the US Highbush Blueberry Council announced a contest for bloggers to create a blueberry recipe I knew I wanted to develop something that is not only new and interesting but also a good dish for entertaining. 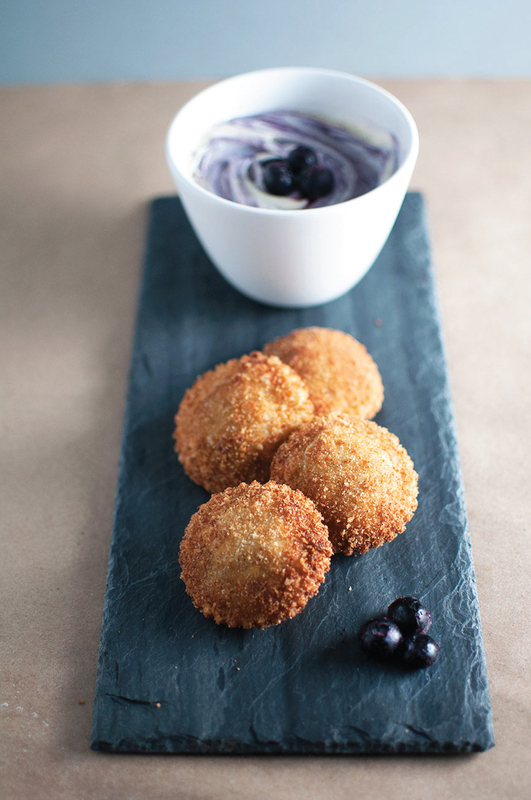 Blueberries, also referred to as “little blue dynamos” are packed with flavor and pair well with a ton of ingredients. The contest challenged bloggers to pair blueberries with one of 4 specific ingredients (banana, coconut, balsamic, or rosemary). 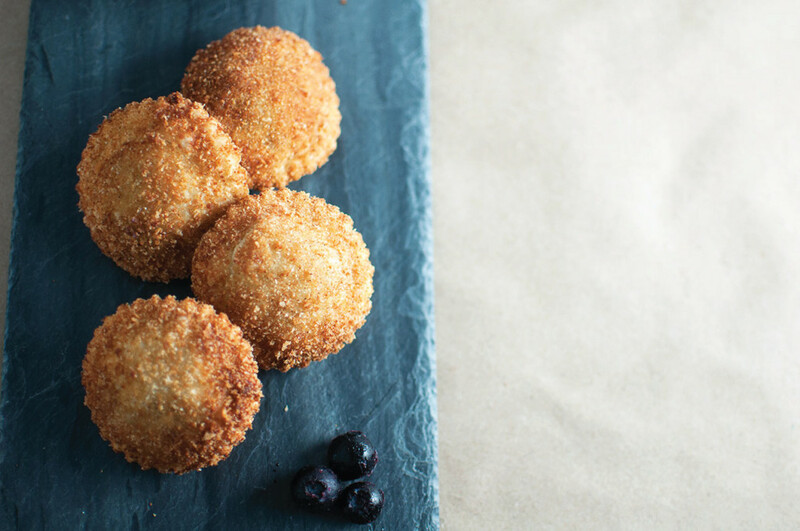 For the coconut category, I entered blueberry coconut pie pops. For the balsamic category however, I wanted to step it up a notch. 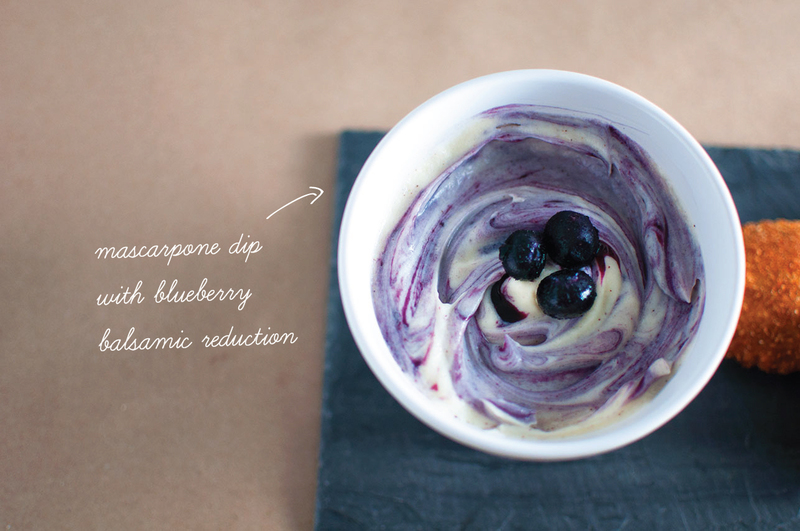 I thought to myself, how can I reinvent something to incorporate both blueberries and balsamic? Sure of course I could always make a blueberry balsamic glaze and toss it on a nice cut of meat but that wouldn’t be creative. 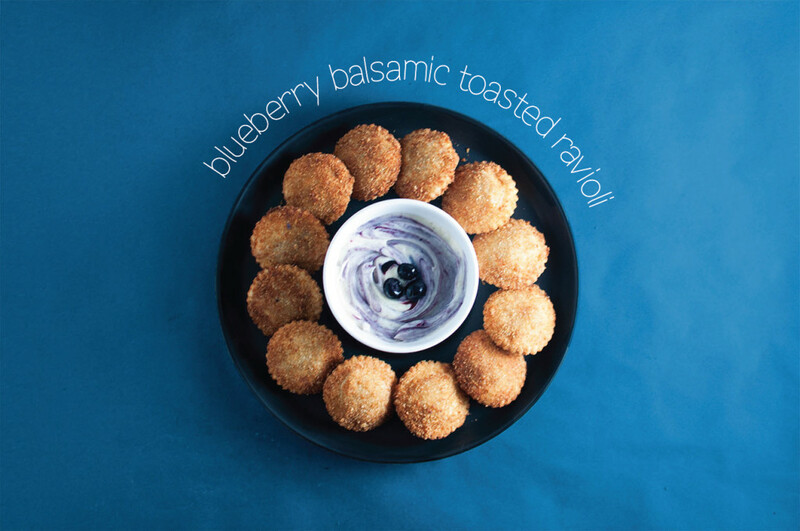 So, what I came up with was blueberry balsamic toasted ravioli! 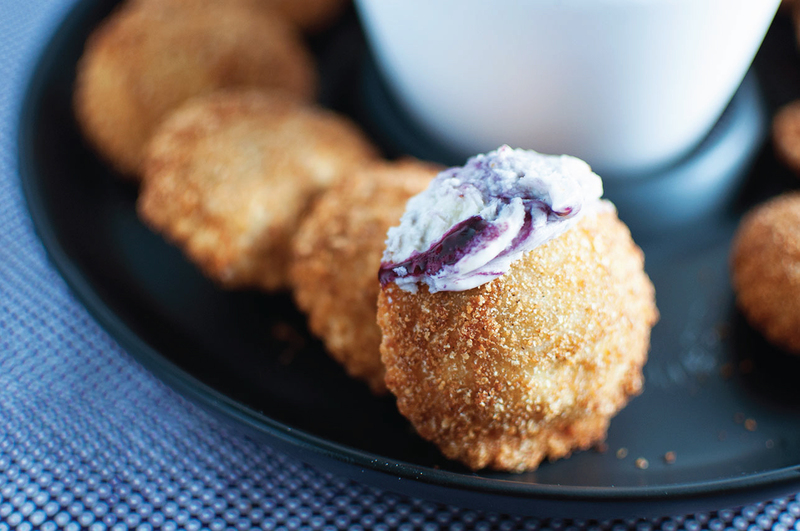 These little crunchy pockets are filled with a blueberry balsamic compote and mixed with ricotta cheese. 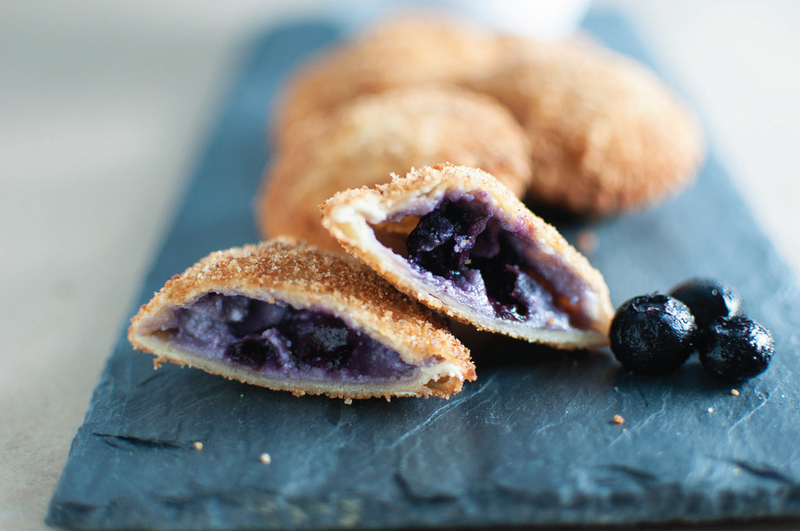 The homemade dough that surrounds the blueberry dollop of goodness is coated in not only breadcrumbs but cinnamon too! 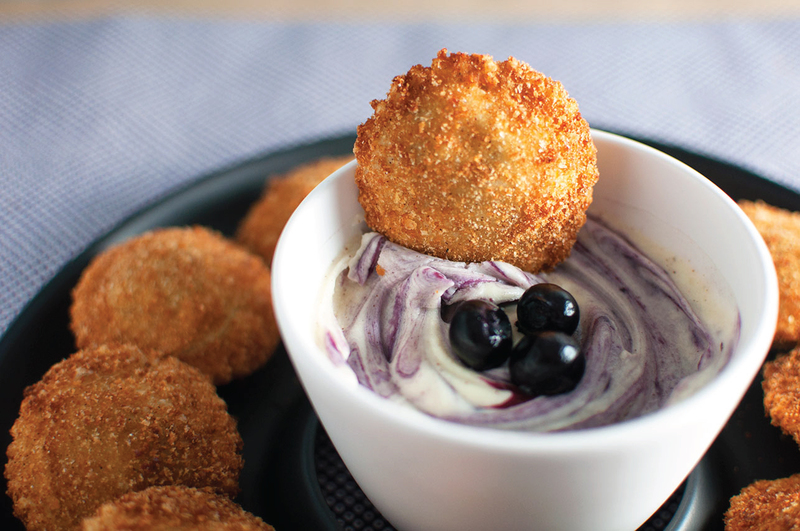 I then paired that with a mascarpone, blueberry, and cinnamon dipping sauce and together it created an awesome appetizer that can be served before a meal but is also sweet enough to count as dessert! 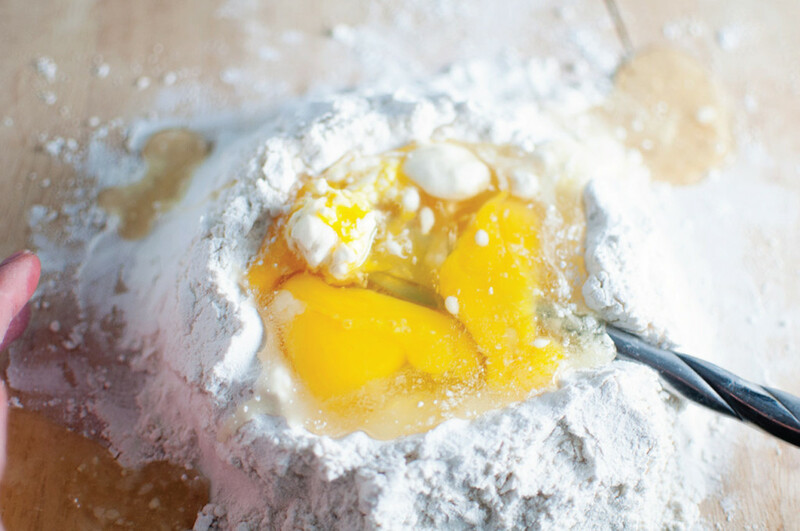 You want to start by making the pasta dough. 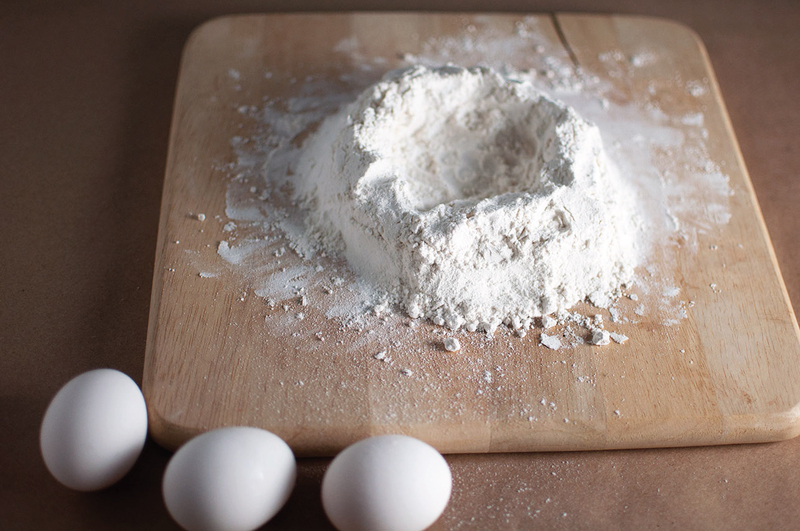 On a clean surface, form a small mound using the flour. Create a well in the middle of the mound and crack the eggs in one by one. Add in the salt and olive oil. Using a fork, gently start whipping the eggs with the oil and salt. Gradually you will begin to incorporate the flour. A dough will start to form and at this point you will want to use your hands to ensure the flour is incorporated well. 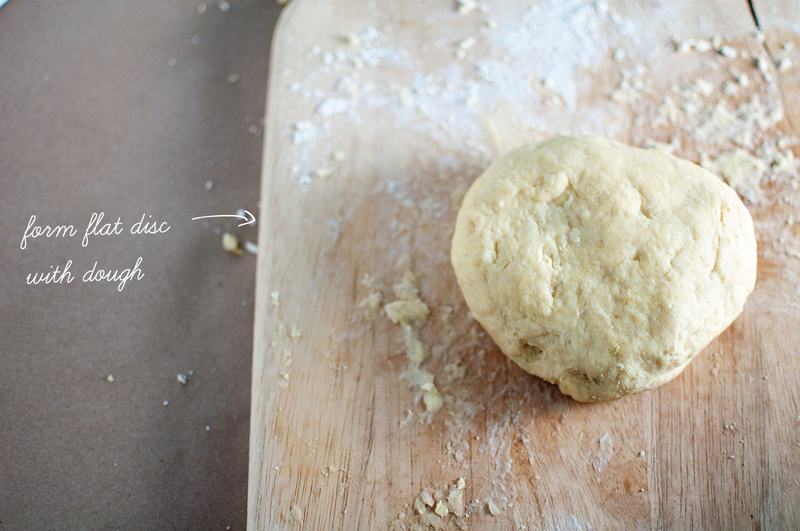 Knead the dough for about 8-10 minutes or until you have an elastic like consistency. 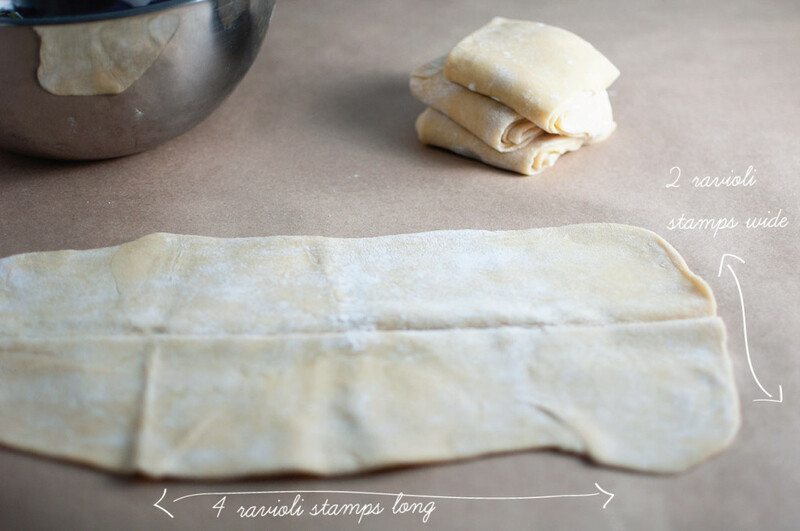 Form a small disc with the dough and wrap completely in saran wrap. Put in the refrigerator and let chill for 20 minutes. 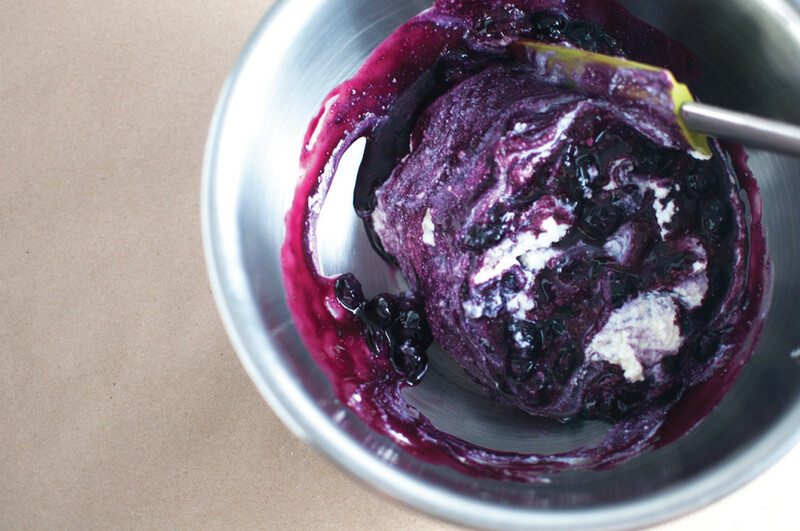 While the dough is chilling, you should begin to make your blueberry balsamic filling. In a medium sized sauce pan over medium heat, combine the blueberries, sugar, and honey. Cook until it begins to boil, stirring occasionally. Add in balsamic and allow to boil for an additional 4-5 minutes or until the mixture has reduced by 1/4. Add in the cornstarch, whisking after each addition. Stir until the mixture starts to form a syrup like consistency (about 3-4 more minutes, add more cornstarch by the tsp if necessary). Remove from heat and let cool. At this time, reserve 2 tbls of the syrup reduction from the blueberry mixture and set it aside (this will be mixed into the dipping sauce later on). Add in 1 cup ricotta to the remainder of the blueberry mixture. Use a rubber spatula to combine all of the ingredients. 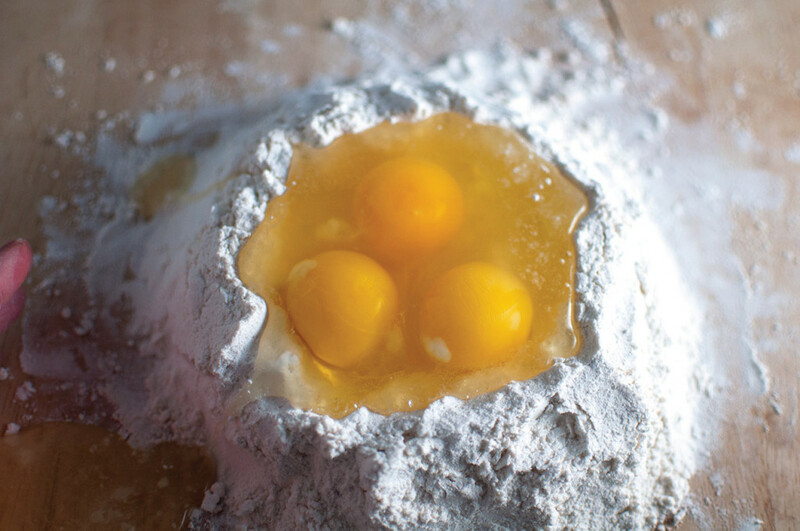 When the dough has finished cooling, remove it from the refrigerator and separate it into 4 equal pieces. One by one, roll out the 4 equal pieces to form long rectangles. 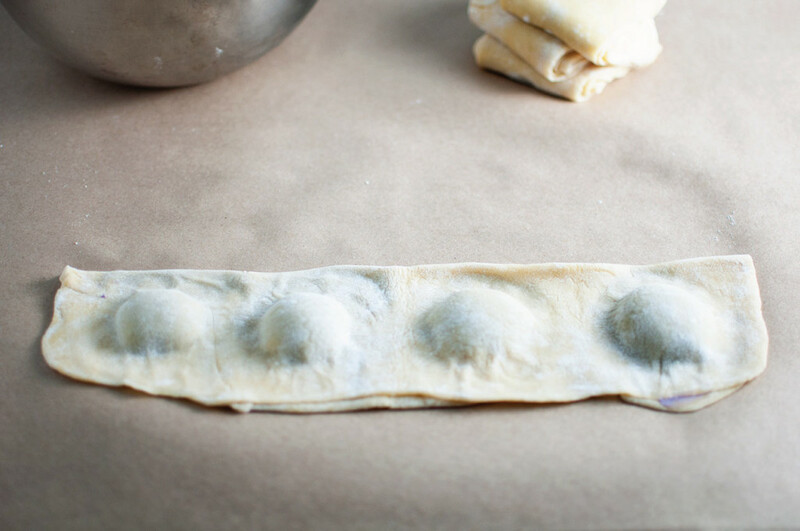 It should be the width of about two ravioli stamps and the length of 4 ravioli stamps. Scoop 1 tbls of the blueberry balsamic mixture and place it on the long edge of the dough. 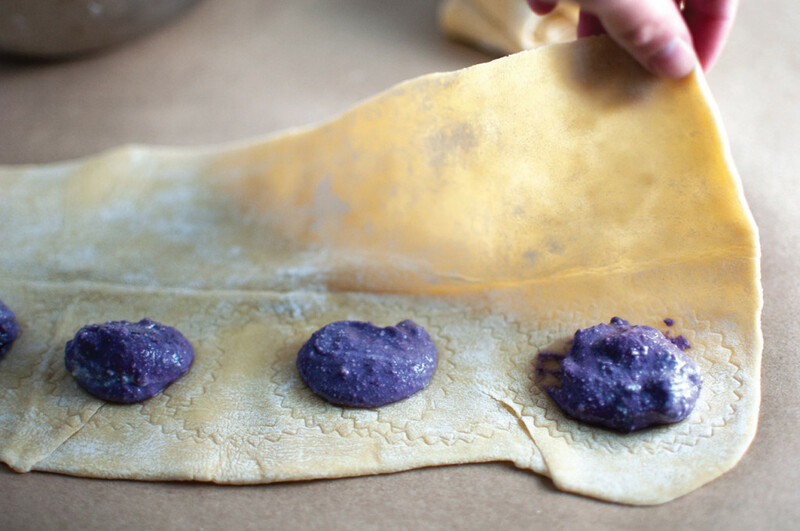 Repeat until you form 4 mounds of blueberry mixture along the length of the dough (see photo below for reference). Hold the two corners of the side that does not contain the filling and carefully fold it over the mounds to cover them. Press down around each mound to secure the filling making sure no air pockets are left. 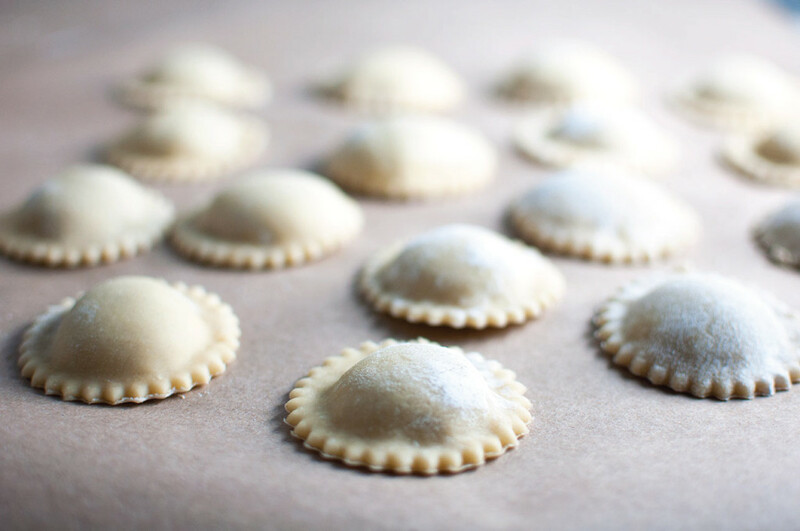 Use a ravioli stamp to cut out each of the mounds. 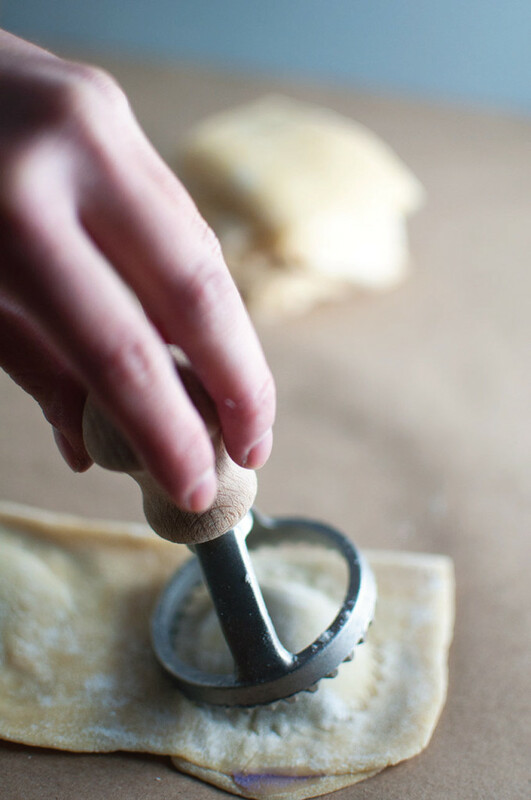 Repeat until all of the dough and the filling has been used up. 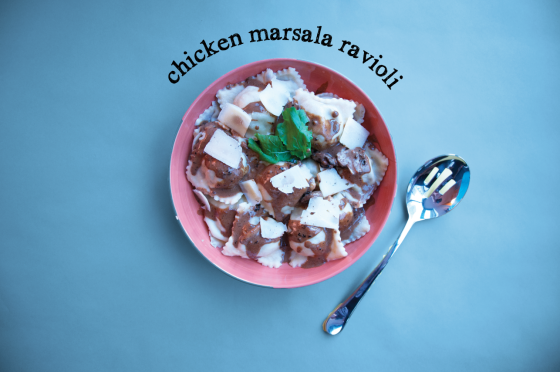 To toast the ravioli, combine the whole milk and egg in a medium sized bowl. Whisk until well combined. 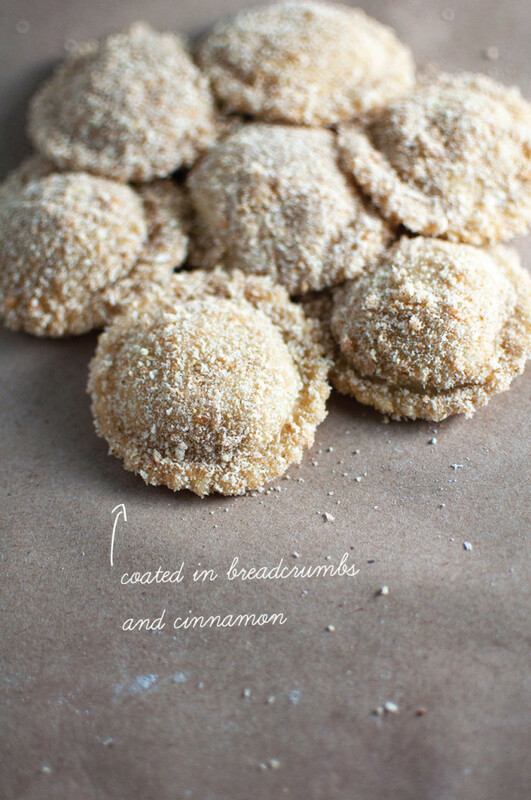 In a separate bowl, toss breadcrumbs and cinnamon. 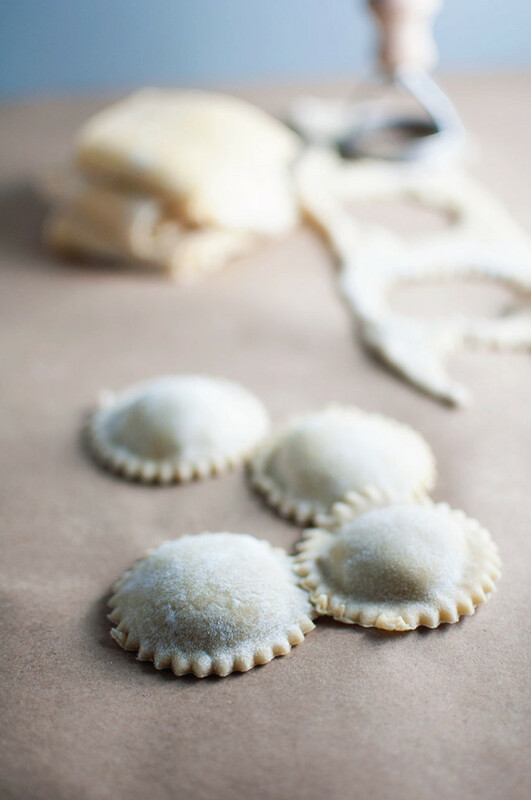 Coat each ravioli in the egg mixture, let the excess drip off, and then place into the breadcrumbs so that it is fully coated. 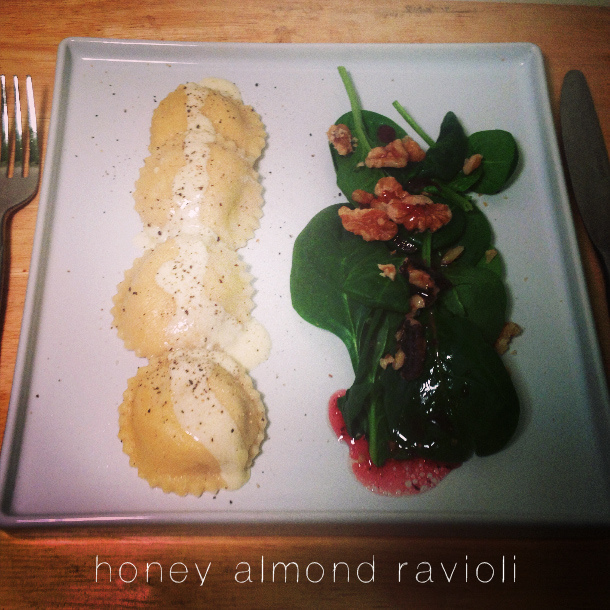 Repeat until all raviolis are coated in breadcrumbs. Place the vegetable oil in a pan that is about 2 inches deep. Let the oil heat to about 375 degrees F. One by one drop the raviolis into the oil. Turn occasionally and let fry until golden brown. 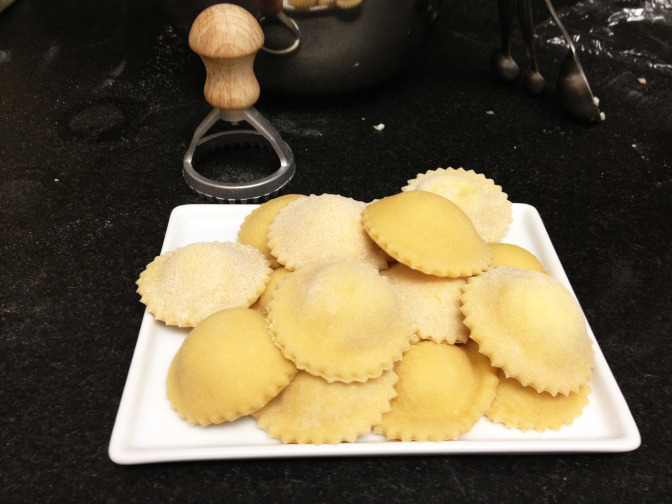 The raviolis will begin to puff up, you will want to remove them right before they begin to break open. Remove from oil and lay flat on a paper towel so the excess grease is soaked up. Finally, you will want to make your dipping sauce. In a medium saucepan combine mascarpone, cream, and cinnamon. Whisk together and cook on medium to low heat until the mascarpone has thinned into a creamy consistency. Place in a serving bowl and swirl in the 2 tbls of balsamic reduction that was previously reserved. 10’s across the board. 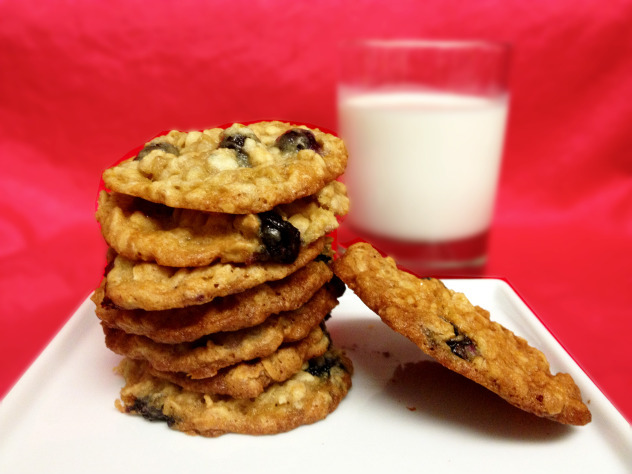 I love the deliciously unique recipe and the rich and compelling photography. Excellent post! This flavor combo is unreal! I can’t even handle it. You are a genius!